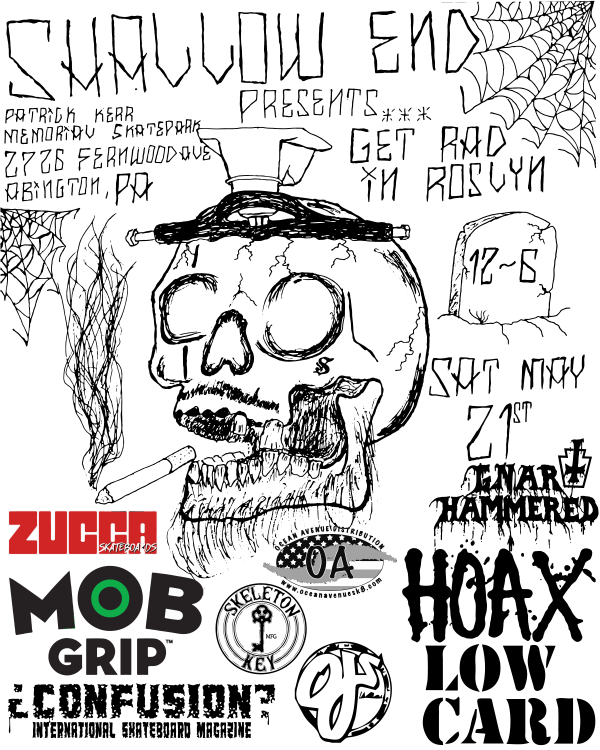 Shallow End presents GET RAD IN ROSYLN. Saturday, May 21st at Patrick Kerr Memorial skatepark in Abington, Pennsylvania. Sponsored by Shallow End skateshop, Gnar Hammered skateboards, Hoax MFG, Lowcard, Confusion, Mob Grip, Zucca Skateboards, Skeleton Key, Ocean Avenue Distribution and OJs.